When Marlene Bawell moved from Bird-in-Hand ten years ago, she was in the deepest of mourning for her mother. Now they have moved back so her father can seek employment after being laid off. To help save money, Marlene works at the hardware store owned by Rudy Swareys father. She knew Rudy growing up and didnt think much of himbecause he was so immature! But just as she starts to realize how much Rudy has changed, her life is once again turned upside down. Will Marlene ever have a chance to find her own true home? 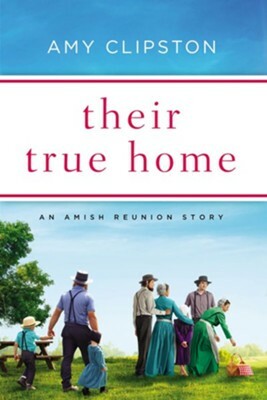 I'm the author/artist and I want to review Their True Home: An Amish Reunion Story / Digital original - eBook.